You have to scroll down — it’s right below iCloud. If you have no e-mail account, the Add Account screen opens directly. 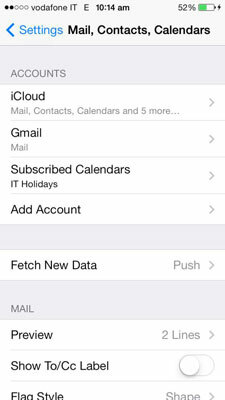 If you see iCloud in the Accounts list and Mail is listed beneath it, you are good to go! If you see iCloud but Mail isn’t listed or you don’t see iCloud at all but want to add it, tap Add Account and go to Step 3.
iCloud recognizes the @icloud.com, @me.com, or @mac.com e-mail address domains. 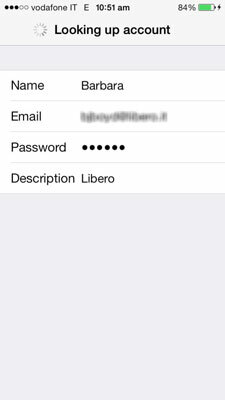 Type in the e-mail address and password associated with your Apple ID and then tap the Next button. If you don’t have an Apple ID, click Get a Free Apple ID and follow the on-screen instructions to set one up. On the screen shown, you have a series of options and toggle switches that turn those options on. Turning an option on means that the information in that app is shared between your iPhone and iCloud and any other devices you access iCloud with, such as an iPad, Mac, or Windows PC. Any time you make changes to one of them on one device, the changes go up to the iCloud and rain down on the other device. 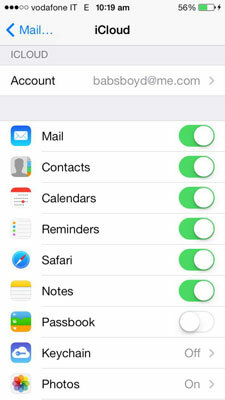 Turn this on and you receive your iCloud mail on your iPhone. Tap Settings on the Home screen, and then tap Mail, Contacts, Calendars. You might have to scroll down — it’s right below iCloud. 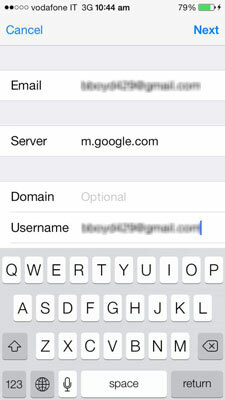 Tap the name of the account you use; for example, Google Mail, also known as Gmail. The Google Mail (or Yahoo! or AOL or Outlook.com) screen opens. Filling in the Name field is optional (Windows Live Hotmail doesn’t even have one). Type your e-mail address in the Address field and your password in the Password field. The Google Mail (or one of the others) screen opens. You have a few options to consider turning on or off, depending on the services you use. For our purposes, turn on Mail. This connects you to your e-mail account so that messages download to your iPhone in the Mail app and you can send messages from your e-mail account in Mail. Your account is added to the Accounts list of Mail, Contacts, Calendars settings. Tap Settings→Mail, Contacts, Calendars→Add Account→Microsoft Exchange. The first Exchange screen opens and requests your e-mail address, password, and a description, which is optional. Fill in the information requested and tap Next. The second Exchange screen opens. Fill in the requested fields. You may have to ask your network administrator for some of the details. If Microsoft Auto Discovery didn’t fill in the server address, type it in. It will be something like exchange.company.com. The Exchange account opens with options for Mail, Contacts, and Calendars. Turn Mail on to have e-mail from your Exchange account accessible from your iPhone. Turn on Contacts and Calendars as well if you want to access that information from your Exchange account. Tap Other at the bottom of the list. Tap Add Mail Account, the first button on the screen. A New Account screen opens. Fill in your name, address (your e-mail address), your password, and a description if you want something different than what is automatically entered. Mail looks for your account and veri-fies it. Your iPhone automatically recognizes if it’s an IMAP or POP account and presents the appropriate choices. 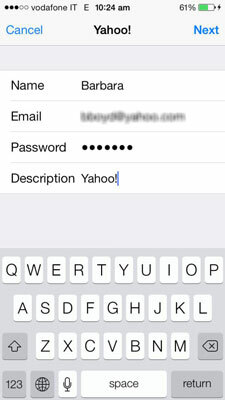 Tap the options, such as Mail or Notes, to the On position to have that data accessible from your iPhone. The account is added and appears in the list of accounts in Settings→Mail, Contacts, Calendars.